Display ads are dead. Long live content marketing. According to Google’s DoubleClick data, in America the average CTR on a banner ad is just 0.10%. To put that number into perspective, you’re more likely to birth twins than click on a banner ad. 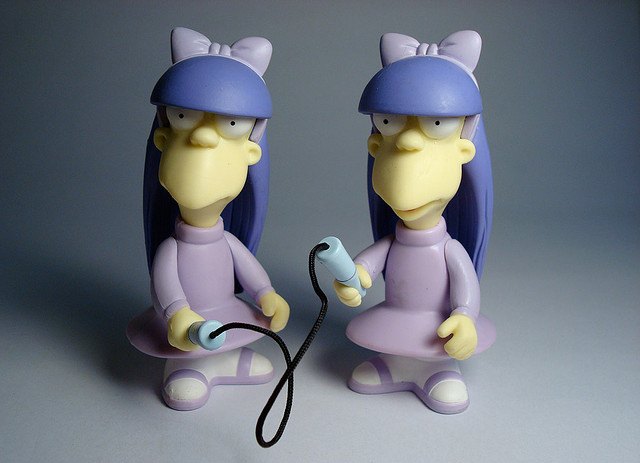 Solve Media found that you’re more likely to birth twins than click on a banner ad. Image by Francisco Wong via Flickr. 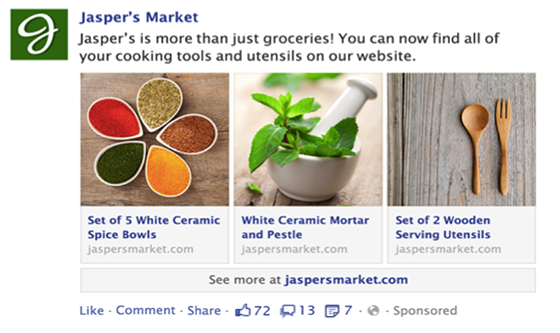 So, here’s the question: are display ads dead? The answer, despite the naysayers, is a resounding no. According to the recent IAB Internet Advertising Revenue Report, they’re alive to the global tune of nearly $3.5 billion. Pretty wild, right? So what’s the disconnect? The problem is that many marketers have too narrow a focus. They give their all into just one area instead of looking at the whole picture. Their ad may be getting a ton of clicks, but they’re not tracking their progress all the way down the funnel – up until the conversion. Dodgy advertising strategy like that just won’t cut it. It’s time to get smart (and way more profitable) by following these four steps. This first one is absolutely foundational, so let’s start with the basics. There is a fatal mistake that most marketers make when it comes to focus: they lose themselves in what’s known as the “wide end” of the funnel. In other words, they only pay attention to how many people click their ads. GA funnels – especially the visualization features – allow you to immediately identify the weak links in your ad campaigns. By creating a goal for each step in the process, you can see where visitors are dropping off and focus in on what needs fixing. At a glance, GA funnels allow you to see where people are dropping off. In this example, CTR is being tracked from an initial page, to a second goal (such as a pricing page), to the final goal: the checkout. Say you’ve got a killer AdWords campaign rocking the display feature with a 6-8% CTR. 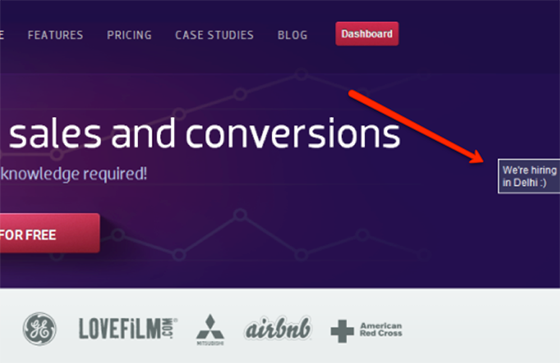 That’s awesome, but how’s your landing page converting those clicks into leads? Or perhaps your banner ads are doing a stellar job bringing warm prospects to your product details page, but your cart abandonment is through the roof. This is another element GA funnels allows you to monitor. Now sure, it’s great to generate traffic with a compelling ad, but traffic doesn’t pay the bills. Customers do. Again, that’s why it’s vital to not lose yourself in the wide end of the funnel. For example, you may have an ad with a 11% CTR that only results in a 2% ultimate conversion stream, while an under-performing ad at 3% could easily generate much more profitable traffic. The only way to discover these truths is to look at the numbers. 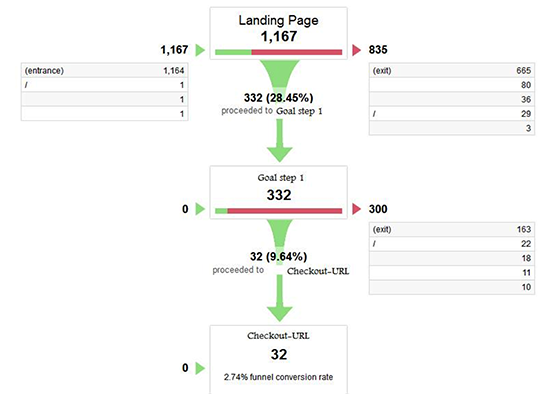 If you haven’t read KISSMetrics’ “The Google Analytics Conversion Funnel Survival Guide” or Moz’s “Building Your Marketing Funnel with Google Analytics,” stop reading this, click those links, and bookmark both of ‘em. Then get your GA funnel set up and start looking at the whole picture. Are you too focused on the wide end of the funnel? Traffic doesn’t pay the bills – customers do. Most marketers focus on display ads “out there:” display ads that bring in visitors from other sites or search engines. But what about prospects and customers who are already loyal to you? The reality is that acquiring a new customer can cost 6-7 times more than retaining and selling to an existing one. You’ve likely already got a fan base of users or readers who know and like what you do. Why not try to reach them? While many marketers do a good job of customizing individual landing pages based on their visitor’s traffic source, many neglect to customize the visitor’s total experience on every single page (before and after the conversion). This is where optimizing your on-site display ads is so vital. One of the most savvy SaaS companies offering this kind of adaptive, on-site display ad customization is Fanplayr. In fact, their customized approach was able to increase Signing Time’s conversion rate by 18% and Seattle Coffee Gears’ overall revenue by 49%. How? Fanplayr creates segmented offers and customized incentives (basically adaptive coupons) that appear strategically throughout your visitor’s on-site experience based on real-time information like purchase history, pageviews, device type, search term and referral source. The results were a 149% increase in click-through rate to the careers page. Take a step back and look at the experience you’re creating on your site. Individualized offers can help you break out of your one-size-fits-all mentality to make prospects happier (and more likely to convert). Many display ad A/B tests only examine the ad’s image and copy. But have you considered testing ad position? I’m sure you’ve heard of “banner blindness” before – the well-documented phenomenon in which web users ignore content placed within traditional banner positions. Here’s a heatmap that shows exactly what I’m talking about. 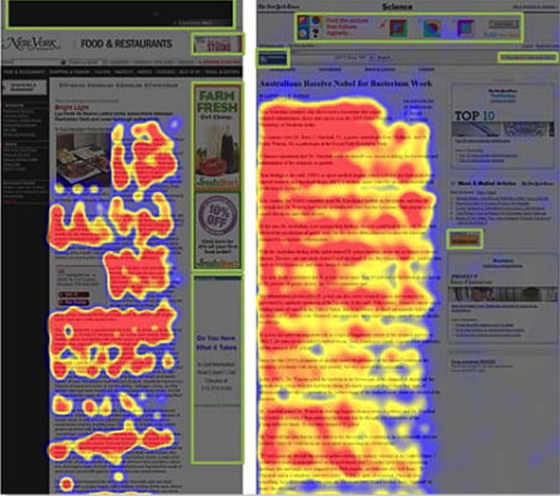 The green boxes represent traditional banner ad positions, while the red and yellow portions are eye-tracking heatmaps that show where users pay closer attention. Because most display ads appear in the positions outlined in green, it doesn’t really matter how original or compelling your ad is – most people simply will never read them. Unfortunately, these positions are the only positions Google’s Display Network offers. The ad positions offered by Google Ads Display Network. Image source. To overcome banner blindness, just focusing on the what of your ad simply won’t work. You also need to test where it appears – its position on the page. You can start by following the lead of smart companies like Infolinks who came up with four ingenious alternatives to traditional display ad placement. Using Infolinks “InFold” approach – which places tailored ads immediately above the browser window’s fold – Internet Brands, Inc. was able to grow their onsite revenue 2.5x. Plus, you can test and track the different positions against each other with their analytics. Smart stuff. Seeing it in action, this is one of those “I wish I’d come up with that” ideas. Do your ads give people “banner blindness”? Try breaking out of traditional display ad placement. The marketing world is abuzz with all things mobile. Americans are now spending more time online via their smartphones than their computers by a ratio of 34 to 27 hours per month. Responsive ad units allow you to dynamically control the presentation of your ads – i.e., their size and orientation – based on the size and orientation of the screen or device they’re being viewed on. Because images within responsive ads are automatically resized based on the proportions of the display they’re being viewed on, images that contain text do not read well on mobile devices. To ensure your ads don’t turn into a jumble of illegible words, only use text that appears as text by entering your copy into each platform’s supplied text boxes. Because space for mobile advertising is so limited, the image you choose must not only capture your viewer’s interest, it also has to have a purpose. Pretty for pretty’s sake won’t cut it. In other words, if you’re selling a specific product, don’t over think it. Simply use a high-quality product display image or a close up shot of your product’s key feature. After all, that’s what your customers want to see. Notice how the first two show the product in action? That’s an awesome example of showing context of use. Do your ad images show your product in context? Help prospects visualize your product in action. The vital thing to notice about all of these steps is that they’re based on customizing the details, creating individualized visitor experiences and optimizing from there. Don’t overwhelm yourself. Start with step one and work your way through the rest of the list a piece at a time. And finally, remember that the dumbest (and least profitable!) thing you could do is the same old thing.